Emily Weiss was writing reviews of beauty products. Then she realized she could create her own. Now her makeup and skincare line, Glossier, has a cult following, including 765,000 fans on Instagram. 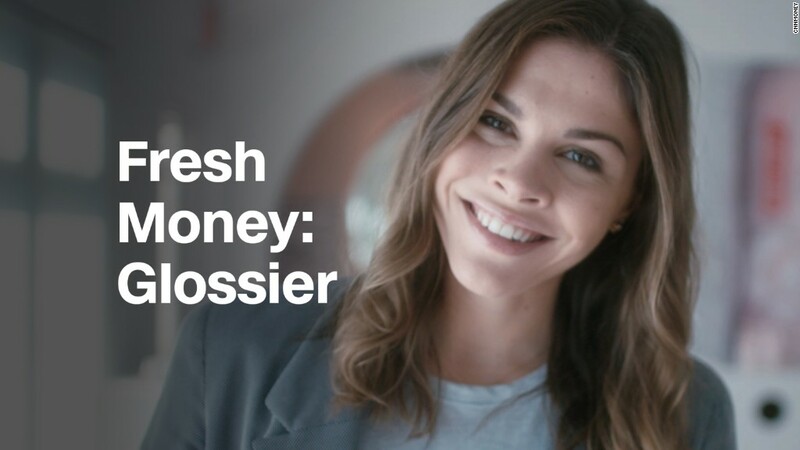 Weiss realized she could use social media to talk to customers and create something that suited their needs -- whether that was a beauty product review or a new shade of makeup. Glossier offers a curated line of simple, affordable products like Wowder, a mattifying powder, and Super Bounce, a serum for dry skin. Social media gave women "the ability to read a review on a website, to give a review on a website, to take a selfie, to show what you're wearing, to ask questions, to engage with brands," Weiss told CNNMoney. "Women are in the driver's seat. They are in charge of their routines, and they can find all the information they need from their friends or from other women in the world and online." Weiss knew she had something special with her blog, Into the Gloss, which she started in 2010. It wasn't a brand dictating what skincare and makeup women should use. She was talking to women and responding to their questions and what they wanted. Her own experience with beauty products began at an early age. "I learned a lot from my grandmother," she said. "I used to steal all of her gift-with-purchases from Clinique. They did such a great job. I loved all those little samples." As a teen, she craved context for the products she was using. "I would love a product, but I would really not know very much about the company behind the product, or I wouldn't really understand or get to know how the product looks or is being used by other women besides the salesperson," she said. After working in the beauty industry, she realized she wasn't alone: Women wanted feedback and information about their products. "As a customer, the thing that I really missed and that I wished that I had was a brand that I thought of as a friend, as a peer, and not a brand that would just talk down at me and tell me what to think, or tell me what to do, or tell me that if I bought these 10 products and I used them all together, I might reach this picture of perfection in the end," she said. "I really just wanted a brand that I could be friends with."